Thanks Amy and Donna for creating this forum! 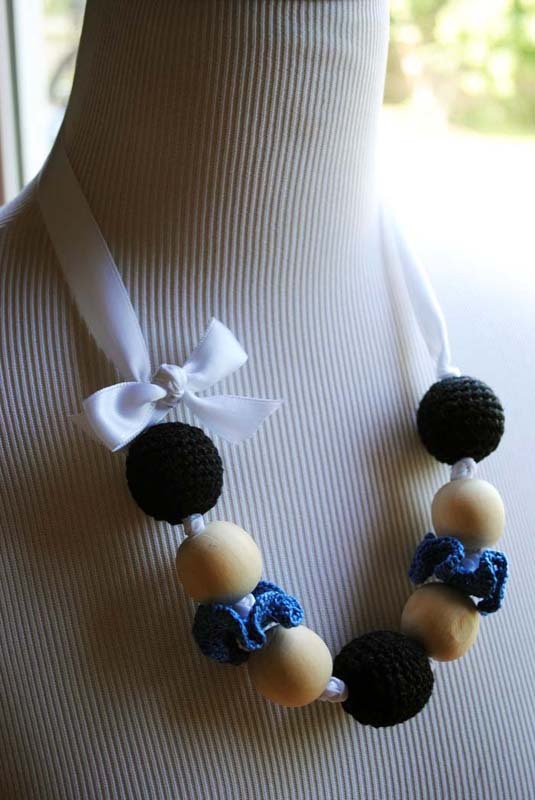 I do actually have a new item in my Etsy shop: a teething necklace for new moms! I designed it because my baby girl is always trying to chew on my necklaces. 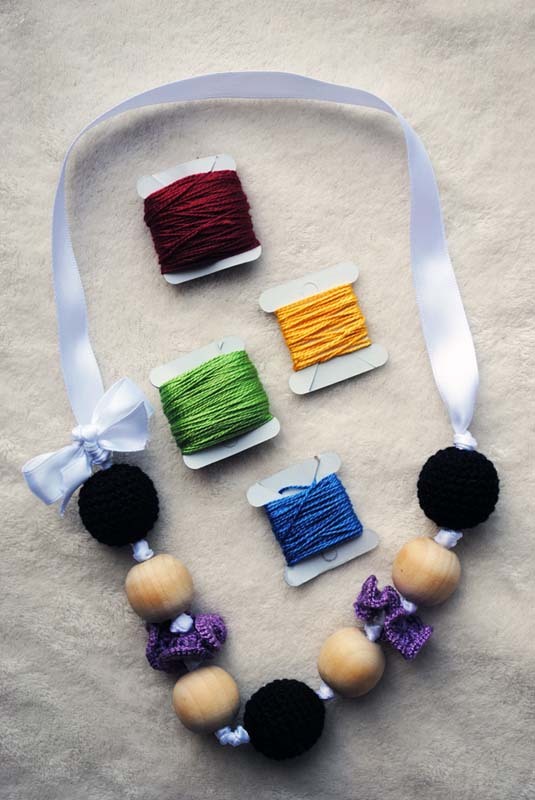 It features crocheted beads and accents, wooden beads, and a satin bow, so it has plenty of textures to keep baby interested. My DD loves it! And I can make it in custom colors for you. Please check it out here. Thank you!